Do allergies get on top of you? Be it animals, the changes of seasons or cleaning out your closet and dealing with dust – what ever way you get the allergies dealing with symptoms can be a real pain. Your eyes go red and itch, and you can not help but keep rubbing them. Your nose seems to alternative between drips to the point that you chafe and chap the skin from blowing it so much and blocking up and congesting your head so much you can not think… and then there is your skin – you can start to itch and scratch due to dust mites or pollen in the air. It is times like this you need to support your body against allergy symptoms with an anthistamine. 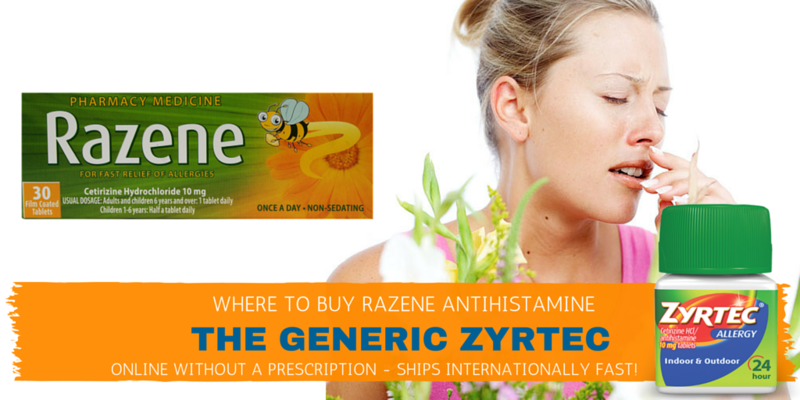 But if your looking for a great price you might want to consider an generic zyrtec alternative like Razene. Zyrtec is an antihistamine tablet that contains 10mg of Cetirizine Hydrochloride to give fast relief from allergies. 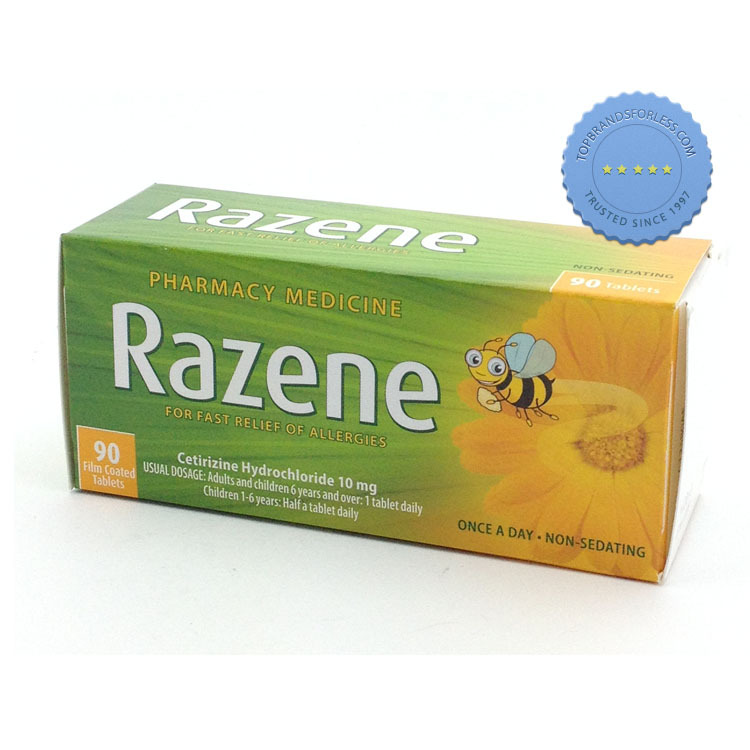 Razene is an antihistamine tablet that contains 10mg of Cetirizine Hydrochloride to give fast relief from allergies. 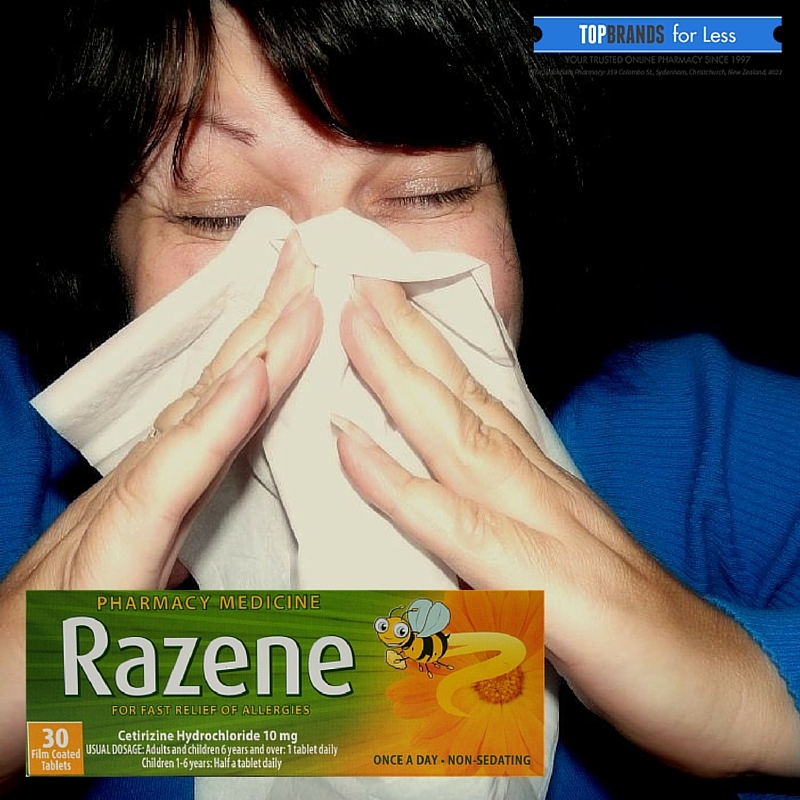 It comes in a 30 pack and a 9o pack similiar to Zyrtec and is a once a day hayfever and allergy relief product that works for up to 24 hours. You can use it during times of hayfever and other forms of allergy , conjunctivitis, perennial allergic rhinitis, pruritus, urticaria (hives) and insect bites.